The discovery was made by a Delhi University research student for her PhD. 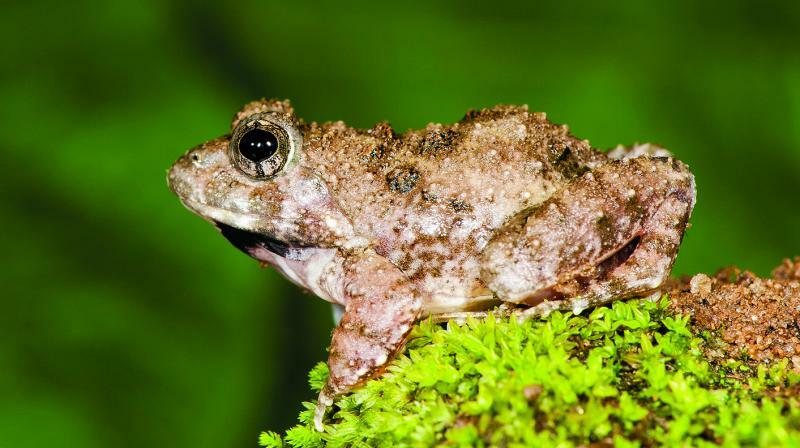 Mumbai: A PhD student from the University of Delhi, Sonali Garg has discovered four new species of burrowing frogs in the Western Ghats. Ms Garg has been exploring the ghats' global biodiversity hotspot since past five years. DU professor, SD Biju's student, Ms Garg's lab research led to the discovery of these frogs belonging to the Fejervarya genus. According to researchers, the number of amphibian species known from the Western Ghats has nearly doubled within a short span of ten years, making it one of the leading biodiversity hotspots in the world with an unprecedented rate of new frog discoveries. However, over 32 per cent, that is one-third of the Western Ghats frogs are already threatened with extinction. The past decade has witnessed an exponential increase in the number of new amphibian species described from the region. Of the total new species of amphibians described globally between the years 2006-2015, the second highest number was from the Western Ghats — Sri Lanka biodiversity hotspot (approximately 159), of which 103 species were from Western Ghats alone. Of the new species, two (Kadar Burrowing Frog and CEPF Burrowing Frog) could be facing serious threats requiring immediate conservation attention. Previously, only one species of burrowing frog (scientific name: Fejervarya rufescens, common name: Rufescent Burrowing Frog) was known in the genus. It was considered as widely distributed throughout the ghats, and therefore is given a ‘Least Concern’ conservation status as per the IUCN Red List. “In the lab, the frogs were confirmed as new species by using an integrated taxonomic approach that included DNA studies, detailed morphological comparisons and bioacoustics,” said Ms Garg. However, new study reveals that the distribution of this species is restricted to a smaller region, that is Karnataka and parts of Kerala. “The new finding will have a significant implication on the conservation status of these frogs. We need to be concerned about their existence,” said Professor Biju.